How much should I budget for visual content in 2016? If a piece of content is shown in the News Feed but no one remembers it, did it really happen? But whatever about Freud, it’s safe to say that it’s sadly true. If no one sees or shares your content, it’ll be clear as day in the monthly budget. And this could be the reality for brands that are not ahead of the curve, as the world continues in its content over-drive. 65% of marketers in 2015 want more budget for visual content and we’re definitely not surprised. Visual content does a lot of work these days. It is the hook that draws our audience in – it then gets straight to the business of communicating and reinforcing the message, as brains process images 60,000 faster than text! Brands need to work harder to be seen and heard in social spaces; so not only should their content be interesting and clickable, it needs a little extra ‘zing’. That’s where the graphics come in. You look like you need a reassuring pat on the back. So before we talk budgets and strategies, here’s a few more stats about visual content you can tuck under your belt for that next conversation with your CEO. This infographic tells the story of visual content. In a visual, of course (oh, the wit). Although these stats are compelling (you can’t argue with a piece of content proving its own argument), they won’t help you decide what percentage of your budget you should allocate to your visual content. Unfortunately, there’s no quick-fix for this – there’s no ‘one-size fits-all approach.’ There are heaps of visual content assets brands can choose from, and of course, each brand will have its own personality, budget restraints, and campaign objectives which will be big, small and everything in between. However there are 256 Media’s guidelines which will help you! Read on for the four factors which will inform and shape your budget for 2016. Start by aligning your content assets to your business objectives. It’s a match made in heaven, as this will be the deciding factor of what type of visual content you should focus on and how much you need to budget for each. The big questions for many marketers when considering visual content is ‘how much of our budget should we invest?’ They’re looking for a benchmark, and they’re tapping their chins wondering what their competitors over the hedge are doing. Many can get stumped at this initial stage if all they can focus on is the Euro sign. And that’s because they’re starting off on the wrong foot. Surprisingly, many marketers still don’t have a documented content strategy to align their content assets with their objectives. According to a survey by 256 Media (yeah, that’s us. Hi! ), 68% of Irish marketers do not have a content marketing strategy in place*. A plan isn’t just helpful for your budget, it’s the leading force behind it. According to CMO, the biggest problem for brands is strategy when it comes to structuring their budget for visual content. We agree – brands need more budget for visual content, but if there is no strategy, then they might as well save the money and start drawing pictures themselves. But for brands with a plan, this visual strategy will do some lovely things – it will help tell the brand story, building a strong brand image across all touch-points. It will also help save money, which is always nice. Just in case you’re not convinced, here’s a bullet-proof list of benefits from your visual content strategy (thanks to the guys from Brafton.com). It’s important to set out from the beginning what kind of content you need to achieve your goals as the value of each piece of visual content will change depending on your audience, your goals, and your brand identity. Firstly, you’ll need an idea of how much visual content you need for your content. Well, put it this way: if you can get your message across successfully in a visual way, then do so. As we’ve seen from the stats above, this is the most effective way to communicate. And for every other piece of content you produce for your audience, you need visuals to bring it to life. Snackable visuals – when do I need ‘em? Do you need an immediate response and high but short-lived engagement? Then social media is your plate, and bite-sized, snackable visuals are a yummy option. If you’re after immediate results with high engagement, it would also be a good idea to hop on the back of some of the popular trends and latest news for your visual content inspiration. Animated GIFs are an example of great snackable content being used by brands in new and exciting ways as part of their content strategies, and these visual formats are perfect for social with their looping, short-play nature. Do you need to communicate a complex message in an engaging way? A video or animated demo could be your best bet here. Or maybe you want to build a community over time and assert yourself as a thought leader in your industry? Then a video series or a video channel revealing industry insights is the kind of content you need. 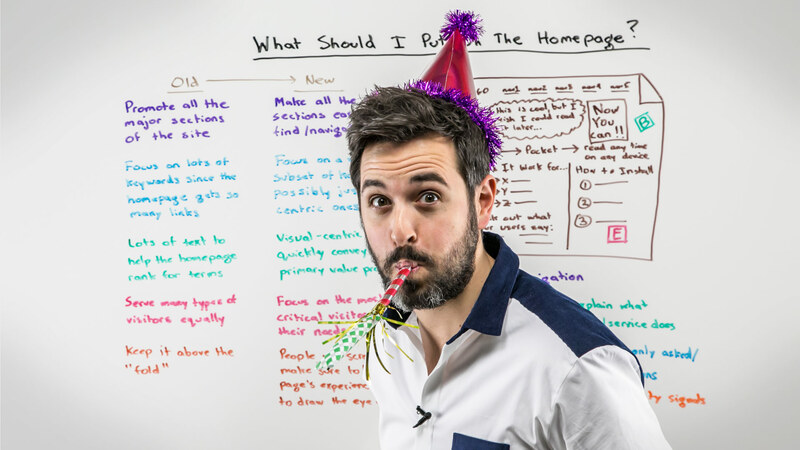 Rand Fishkin (the wizard of Moz) can be seen above doing both these things seamlessly with his ‘Whiteboard Fridays’. Use cheesy stock photography lightly! It’s always important to choose your images wisely. Remember, those plastic-looking smiles will make people want to reach for the nearest bucket. Photographic content should be natural and unique to the brand’s personality. But what about the budget? Budget will always depend on the spec and who is creating the work. With photography for example, there’s a big difference between the budget you need for a PR image and bespoke photography for the landing pages of your website. Equally you can shoot a video yourself on a very low budget or spend upwards of €10,000 and more depending on the length and production values. Simple animation can cost from €1,000 per minute up to €5,000 plus, while you can bag a simple single short infographic for under €700 whereas more complex and animated infographics will start off from €2,500. It will always depend on complexity because the more complex the project, the longer it will take to produce. This brings us to the value of your visual assets. The average engagement you can expect from each of your visual content assets and the cost of each will also have a part to play in your budget. Don’t worry, we’ve created a visual to use as a handy reference. Check out our inverted pyramid of popular visual assets, running from the least costly to the most expensive. Some visual content will have a lower engagement rate, but will have a much longer life span, and will even continue to attract more and more leads as time goes on. This is known as evergreen content. Evergreen content is the backbone of content marketing. This is the content which keeps building momentum and driving more revenue over time – like a money-making snowball. This engagement over time is also how you should measure the value of your visual content asset – and consequentially how much you can budget. (It’s important to note though, that it’s always your visual content strategy that will help you determine how much value you should place on each if these examples). With great visuals (or even not-so-great visuals) comes great responsibility. Like the Ben Heine image we used at the top. Thanks Ben! That’s why it’s important to credit your source where appropriate (you do not have to worry about this if you have paid for your image or, of course, if you have snapped it yourself). Want award-winning visual assets all of your own? Our team of graphic designers are award-winning and can create brilliant images for your brand. In the meantime, follow us on Facebook, Twitter, and Pinterest to keep up with all things content and digital media. *Psst. We just conducted the very first content marketing survey in Ireland. Want to get a first look at the results and see how you measure up to the industry standard? Request a copy of the results here!